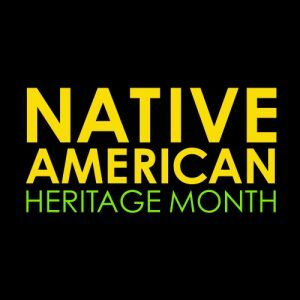 Native American Heritage Month is a time to continue to celebrate rich and diverse cultures, traditions, and histories and to acknowledge the important contributions of Native people. The Social Science and History Department created an all-ages reading list for you to start your exploration. 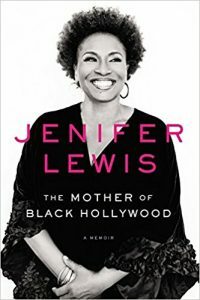 Click on the hyperlink to reserve your copy today. An Indigenous People’s History of the United States by Roxanne Dunbar-Ortiz. Following in the tradition of Howard Zinn’s classic People’s History of the United States, Roxanne Dunbar-Ortiz’ work centers the history of the United States from an indigenous perspective. In particular, Dunbar-Ortiz analyzes the colonialist origins of American gun ownership, explores how American military Special Forces originated in the suppression of Native Americans, and examines the long history of American betrayals of indigenous peoples, both before and after their conquest. 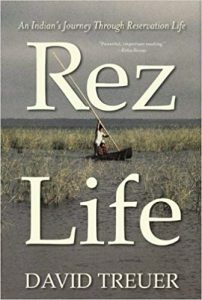 Rez Life by David Treuer. Part autobiography, part well-researched reporting, David Treuer’s Rez Life traces the history of how Native Americans were forced to live on and be so heavily associated with reservations, as well as the current living conditions found on said reservations. 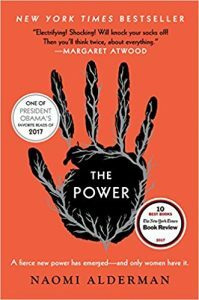 Treuer draws on his personal experiences as an Ojibwe resident of the Leech Lake Reservation in Minnesota to illustrate how government policies profoundly shape the Native experience of American life. 1491: New Revelations of the Americas Before Columbus by Charles Mann. 1491 serves to puncture several myths surrounding the pre-Contact Americas, and is in general and excellent introduction to the history of the pre-Contact Western Hemisphere. Mann challenges the popular conception of Native Americans as socially simplistic peoples, examining the intricate bureaucracy of the Incan empire in the Andes, the rise and fall of Cahokia, the cultivation of maize and cotton, and the archaeological evidence that the Amazon was partially cultivated by the local Native cultures. Seven Myths of the Spanish Conquest by Matthew Restall. Restall’s work focuses on the myths and retroactive justifications wielded in defense of the Spanish conquest of Mexico, Peru, and the American Southwest. Utilizing a bevy of primary and secondary sources, Restall addresses myths such as the idea that the Native civilizations of Mesoamerica were overthrown by a handful of Spanish adventurers, or that the Aztecs believed that Cortez was a god. Restall also examines the history of how these myths became such a key part of the conventional narrative of the conquest and colonization of the Americas. 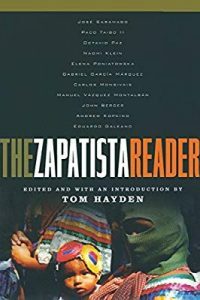 The Zapatista Reader edited by John Hayden and The War Against Oblivion: The Zapatista Chronicles by John Ross. The Zapatistas are a peasant rebellion and indigenous rights movement centered on the Mexican state of Chiapas. Originally sparked by the Mexican government’s implementation of NAFTA, the Zapatista movement continues to serve as an illustration of the struggle for Native American rights throughout the Americas. The Zapatista Reader is a collection of essays and primary source documents on the movement, while The War Against Oblivion is a reporter’s history of the early years of the movement. The Social Science and History Department at the State Library Resource Center contains a wide array of additional resources on Native American cultures and histories, ranging from histories of specific First Nations and Indigenous folklore to more academic texts on Native American history, religion, cultural practices, and interactions with the United States and other governments. When We Were Alone by David Alexander Roberson, Illustrated by Julie Flett. A recently written picture book, When We Were Alone is an excellent introduction to the history of residential schools–the system of forced educational assimilation practiced in Canada until the end of the 20th century. In this beautifully illustrated and heartfelt story, a Cree grandmother compares her childhood to her granddaughter’s, recalling tenderly how she and other Cree children preserved their culture in private moments of community. 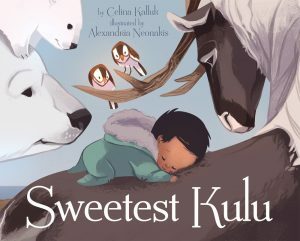 Sweetest Kulu by Celina Kalluk, illustrated by Alexandria Neonakis. Written by an Inuit author, Sweetest Kulu is a bedtime poem for young children. The author draws upon her heritage to relate a tale of the gifts given to a newborn child by the wild animals that inhabit the Arctic. The Children’s Department at the State Library Resource Center contains many additional works by Native American authors, such as Lesson for the Wolf, Hello Humpback!, and My Heart Fills with Happiness. The Maryland Department at the State Library Resource Center also contains several resources regarding the history of Native Americans in the region. 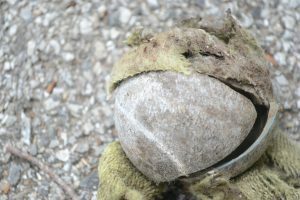 The Department has collected several archaeological site reports regarding Native American schools and business establishments in Baltimore City, as well as a Morgan State University overview of the Native American community in the city as of 1998. 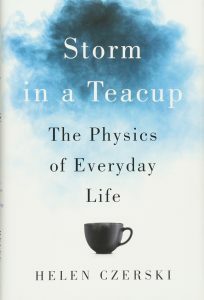 Michael H. on Storm in a Teacup by Helen Czerski: Loved this book! Great combination of readability and reliability, applies physics principles to everyday life. Enjoyed reading anecdotes to my wife. Connie G. on Factfulness by Hans Rosling: Superb—a must-read for anyone interested in clear, dispassionate thinking about the serious problems facing us now. 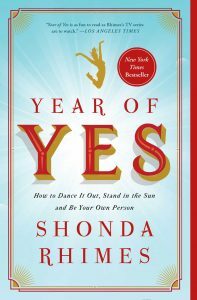 Brynez R. on Year of Yes by Shonda Rhimes: Great self-help and empowering book around being open to all possibilities despite your fears and the good that can come when you do that. Meredith V. on The Penderwicks at Last by Jeanne Birdsall: This remains one of the sweetest and most delightful series ever. I really enjoyed spending the book with Lydia. I kind of wanted some more time with the older girls, but I understand why the book wasn’t written that way. And the ending made me literally hug the book in happiness. I’m going to pretty immediately go back and start the series over. 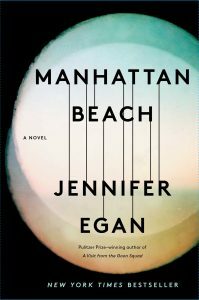 Meri R. on Manhattan Beach by Jennifer Egan: Jennifer Egan does not disappoint. 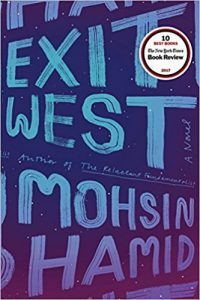 I read this book in a day, which is very fast for me, but every turn in the story was true and richly described. For a period novel, this book included details that felt lived in and personally important instead of carefully researched and curated. I highly recommend this book to anyone. Zachary F. on Off Armageddon Reef by David Weber: The concept of this book is really interesting. Essentially humanity has to revert to the dark ages with a repressive religion and one person who remembers the pinnacle of civilization has to try and bring this backward version of humanity into the future. The implications of having a religion that had eight million people around for the creation of the world and saw entities they believed to be archangels is really interesting. The plot is solid. I love the parts where they discuss advancing technologies. Some parts are a little over the top and sometimes the dialogue is a bit more wordy than necessary. 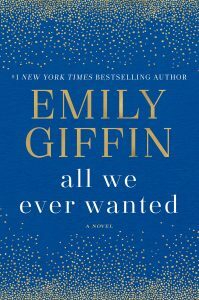 Kelly H. on All We Ever Wanted by Emily Giffin: This is an incredibly timely novel but it’s also got a new slant: it’s told from the perspective of the parents (Finch’s mom and Lyla’s dad) and not the teens themselves. It was especially interesting to hear from Finch’s mom, because it’s clear that she struggles with loving and wanting to protect her son but, at the same time, being horrified at what he did (and with it seeming like he doesn’t fully get exactly why it was so wrong). This novel also touches on class differences (Lyla is at the school on scholarship; Finch can have pretty much literally anything and everything he wants) and that’s also interesting. Finch’s dad believes that his money can get them out of any predicament (he tries to bribe Lyla’s dad to drop the matter and gives him $15,000. It’s clear that he doesn’t think of that as a large amount of money…which I can’t even imagine, btw). If you want your beach reads to be more than a guilty pleasure, check this one out. 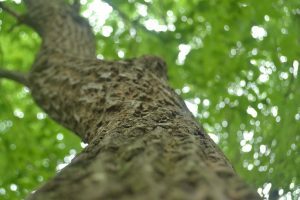 On Wednesday June 20, two educators from Wide Angle Youth Media, Eboni Sellers and Emma Bergman, came to the Roland Park Branch to lead a photography workshop for teens. Ms. Eboni and Ms. Emma began the workshop by talking about photographs as pieces of art that invite different interpretations. They challenged the teens to form their own interpretations of one particular photograph (Gordon Parks’ American Gothic), saying to “break it down, unpack it,” and then to “treat it like an equation–when you add all those pieces together, what do you get?” The beauty of photography is that, unlike math, anybody’s solution to that equation is valid. Ms. Eboni and Ms. Emma then turned that idea on its head by showing the teens how to compose their own photographs by manipulating individual elements like light, angles, lines, focus, and reflection. Then, after learning to operate Wide Angle Youth Media’s sophisticated cameras, the teens went outside to take their own photographs. They walked around the neighborhood for over an hour, snapping pictures and applying what they’d learned, before returning to the library. There, over pizza, the entire group critiqued and complimented everybody’s photographs. Many of the pictures were beautiful, and it was easy to see that their quality improved over the course of the hour that the teens spent practicing their technique. There’s still a chance to participate in future photography workshops #atthepratt. RSVP to a Wide Angle Photography Workshop in August. 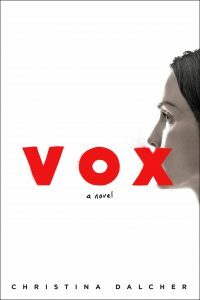 Meaghan M. on Vox by Christina Dalcher: I had a hard time putting down this book about a future where the U.S. government is run by radical religious conservatives and women are limited to 100 words a day. It’s very Handmaid’s Tale-esque (Margaret Atwood does it better, but Ms. Dalcher certainly has promise!). Ashley C. on How Hard Can It Be? by Allison Pearson: Almost as hilarious as I Don’t Know How She Does It and equally heartfelt. I wish it didn’t stray quite so much into mid-life crisis cliché, but certainly a funny and poignant read. Monty P. on The Space Barons by Christian Davenport: NASA was very good at doing their thing…many years ago. Now the field has changed. It is private enterprise, not government agencies, that is driving innovation and exploration of outer space. What do Elon Musk, Jeff Bezos, and the other billionaire entrepreneurs who are building spaceships have in common? They devoured science-fiction novels as young people and dreamed of working and living in space. Now they have the money to make that happen. Science fiction fuels the dreams, and engineering makes it happen. These guys are scientists and inventors as well as businessmen. Their business smarts are great, and they are VERY successful…but the money is there to fuel their dreams. And now their dreams are coming true. To learn about the present and future of mankind’s adventure in space, you must read this book. 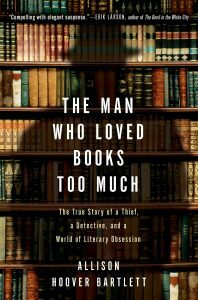 Nancy P. on The Man Who Loved Books Too Much by Allison Hoover Bartlett: Based on a true story, this is an amazing look at the rare-book world, high finance, and obsession with books by people who cannot help themselves. It is laughable and perverse at the same time. Lanedda S. on The Five Dysfunctions of a Team by Patrick Lencioni: Every person in a leadership position should read this book. Most people play the blame game instead of seeking the root of the problem and solving it. The main character, Kathryn Peterson, teaches you how to find the root of the problem and fix it in an organized manner. Excellent book! 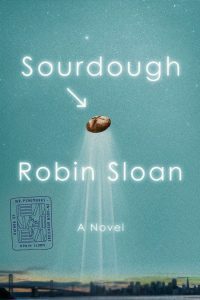 Rachel R. on Sourdough by Robin Sloan: Surprisingly cute! 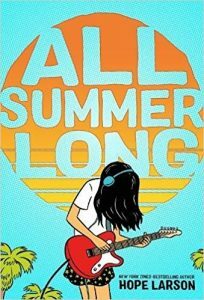 Not my usual genre but a fun, quick read. Loved that the bread literally sang. Allie P. on Educated by Tara Westover: A thought-provoking memoir about the power of education but also how family and where we come from shapes who we are. 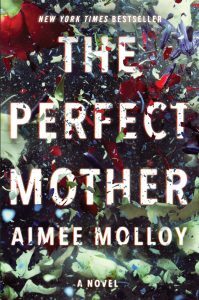 Stefanie M. on The Perfect Mother by Aimee Molloy: A twisty plot that keeps pages turning. An easy read and a bit stereotypical in its building of characters. Without giving too much away, the diary entries were a genius tool to string the ending throughout the story although the ending itself came crashing down a bit too quickly. But I mean any book slated to become a movie starring Kerry Washington can’t be too bad, eh? !